Following on from my last post, I have had several discussions this week about bartering and how we can make a ‘living’ from our various activities. 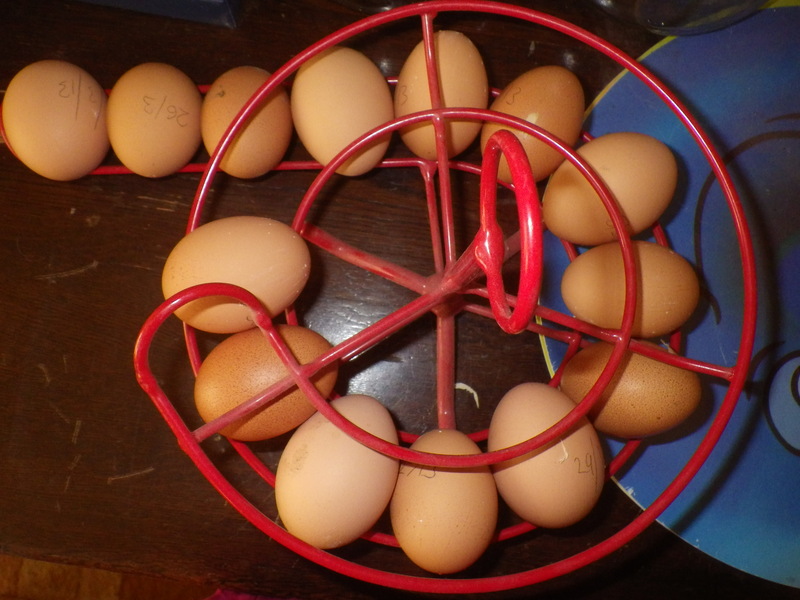 No use offering me eggs for barter – I have plenty of those! I really like the idea of bartering, but if this happens directly, then both parties need to have something that the other wants. It’s no use me being able to knit you socks if the only thing you have to offer is eggs, since I already have an abundance of these; or a hair-cut, since I have long hair. This is where the LETS scheme has the potential to work well, since the exchange does not need to be direct: you get credits and these can be exchanged for any services in the scheme. I have never been part of a LETS scheme, but I understand that they often break down because, for example, lots of people are offering massages (which few people want) and few people are offering plumbing services (which many people want). I don’t want to be in a position where I can’t do some work for someone because they don’t have something I want right now… perhaps an IOU would be in order in such a case. It was during a discussion about this when it was pointed out to me that something that I do need is money; and that this is the thing that some people actually have! Indeed, money is a great way of storing up ‘credit’ to get services or goods you need in the future! So, I shouldn’t be too squeamish about accepting money as payment, if that’s what works. In fact, that’s what money was for in the first place – a way of keeping tally; it’s a shame it’s become something completely different to many people now.